My photographer Stefanie and I planned it just right because we went on a Sunday morning, around 9am and it was so empty! I was so surprised.. I imagined this location would be blogger city, right?! 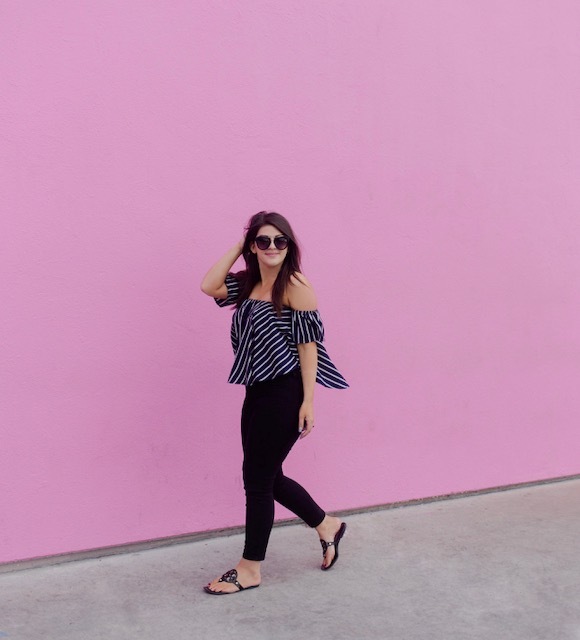 But luckily there were only two other blogger babes snappin’ photos, so that left a lot of pink wall for us to play with! 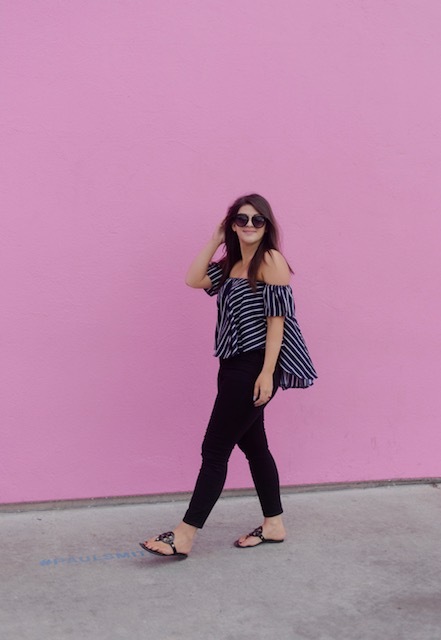 I don’t know what it was, but this pink wall seriously had me feelin some type of way! 😉 You can say I was channeling my inner Beyonce for this one! haha! I swear every time I’m in LA, I feel the superstar vibes! Call me crazy! ANYWAYS, it was a perfect 80 degrees outside so I chose to throw on some black capri pants (I love black pants in case you haven’t noticed) from Forever (Super affordable) and a cute, lightweight off-the-shoulder top. 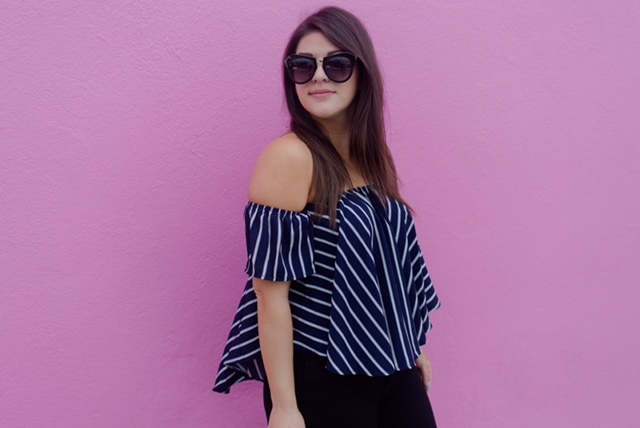 This top is super lightweight and is perfect for a sunny SoCal adventure. 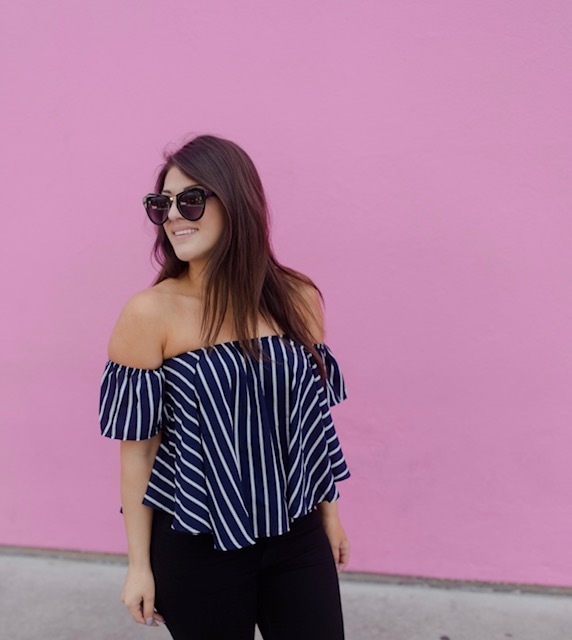 This quickly put together look is great for any occasion and is one of my go-to Spring outfits! I can’t wait until I’m back in LA next weekend so I can shoot at some more notable spots in LA! Stay tuned guys!!! Next Post Best Churros in the Country!